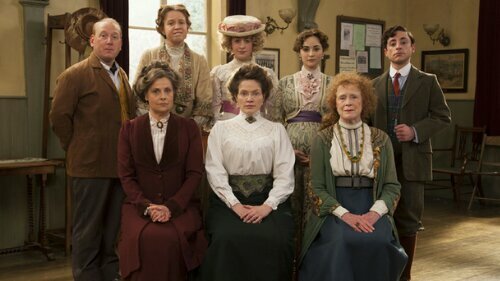 BBC Two has axed Jessica Hynes British suffragette comedy Up The Women. The comedy, written by Hynes, Morwenna Banks and Barunka O’Shaughnessy, starred Jessica Hynes, Rebecca Front, Vicki Pepperdine, Judy Parfitt, Ryan Sampson, Georgia Groome and Adrian Scarborough. Up the Women – which was filmed in front of a live television audience at BBC’s Television Centre building in Shepherd’s Bush – began on BBC Four before being transferred to BBC Two for the second series.